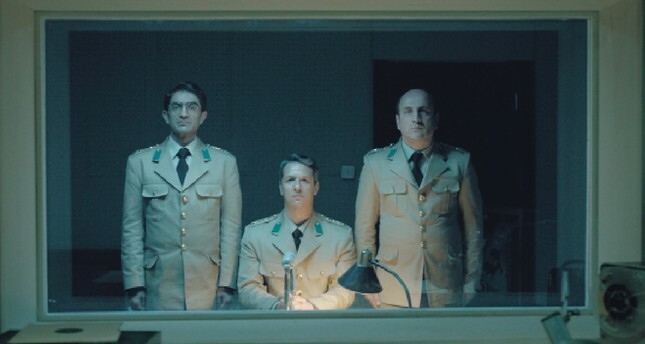 Award-winning Turkish director Mahmut Fazıl Coşkun's new film "Anons" (Announcement) will have its world premiere at the 75th Venice International Film Festival on Sept. 1. It is the unusual story of four soldiers dismissed from the army in the 1960s. The film will compete in the Orizzonti (Horizons) section of the festival. This is Coşkun's third feature-length movie. He previously directed "Uzak İhtimal" (Wrong Rosary) and "Yozgat Blues," and is one of the 18 movies selected for the international competition section of the Venice International Film Festival, to be held from Aug. 29 to Sept. 8. The movie will premiere at the Sala Dersena on Sept. 1 and its second viewing will occur on Sept. 2, at the Pala Biennale. "Announcement," is co-written by Coşkun and Ercan Kesal and stars Ali Seçkiner Alıcı, Tarhan Karagöz, Murat Kılıç and Şencan Güleryüz. He started directing documentaries in 2000. He shot his first feature-length movie "Uzak İhtimal" (Wrong Rosary) in 2009. The movie was shown in various festivals and received numerous awards at the national and international level including the Rotterdam Film Festival Golden Tiger Award, and Best Director Award at Istanbul Film Festival and Adana Golden Bowl Film Festival. His second movie "Yozgat Blues" was completed in 2013 and premiered at the 61st San Sebastian Film Festival. "Yozgat Blues" won the Best Movie award at the 20th Adana Golden Bowl Film Festival and 4th Malatya International Film Festival and the Best Balkan Movie Award at the 18th Sofia Film Festival.